"I think you could follow a trail of shattered worlds all the way to their home." The Cabal are a warmongering race of giant bipedal humanoids with a heavy-set, rhinoceros-like appearance. Their ever expanding empire spreads through organization, efficiency, and corruption —their occupation of Mars is but a fraction of their full might. Few Guardians who have encountered the Cabal live to tell the tale, and on every front they have been found to dig in deep, fortifying their installations with razor wire. "Embrace suffering. Only then can it be conquered." The Cabal are an extremely tough species, willing to defend their territory until every last one of them is dead. Their architecture is very industrial, with an emphasis on burrowing into mountains for defense. The are a very industrious, militaristic species whose social structure and way of life revolves largely around conquest and expansion. Their armor and technology can often be seen leaking a substance similar to oil and even emit smoke when damaged or worn. For centuries they have devoted their resources to occupying and mining Mars, contesting with the native Vex programming as evidenced by the many Cabal ships seen bringing armies to and from the red planet, and recently dealing with the Guardians. 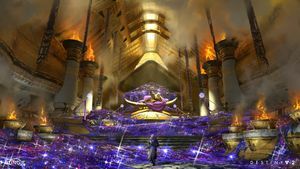 Interestingly, the Cabal is the only hostile race up to date that does not appear to overtly feature worship in its culture—the Fallen worship their god-like Servitors, while Hive have devoted their entire religion to the worship of the Darkness, while the Vex revere the unknown entity that is the Black Heart—but as of the Taken War, evidence has been gathered that the Cabal revere a deity-like Emperor, later being revealed to be Emperor Calus. "In the Cabal legend, a hero seeks to possess the sun. He succeeds. Then, he becomes Emperor. The Cabal... are not a subtle people." According to Cabal myth, the first Emperor was a hero named Acrius who allegedly took the sun. In the earliest days of this new empire, the Cabal emperor ruled alongside the venal military aristocracy known as the Praetorate, which allowed the people to suffer so the Legions who served them could grow. "Under Calus, this system will unite. And when the end comes, we'll be ready. All of us." Upon Calus's Inauguration, he had the wasteland of an unknown planet cleared of any stone or plant in order to have a desert of pure white. Three days later, a violet pavilion was constructed and Calus's court was recreated in every detail. The first act of his coronation was to send the Consul into the wasteland as a symbol for the revolution he would soon bring. During his reign, Calus decided to purge the corrupt Praetorate and he and his imperial guard marched into the temple where the former Cabal senate convened and assassinated them. He then granted citizenship to the various Legions and set Evocate-General Umun'arath as Primus of All Legions. "The war is all there is. All this- this is just logistical support." Calus's reign was not without personal troubles. He was wary of Umun'arath, his Evocate-General, for her paranoia and obsessive fixation on war. His own daughter and heir, Caiatl, grew up similarly despite his efforts. One of Calus's pleasures was the Coliseum, and one day, an albino gladiator named Ghaul made his first appearance there. Ghaul's patient skill and unusual coloration soon made him a favorite of Calus's, and the Emperor eventually made him Primus of the Red Legion, where his talents would be put to better use. Calus grew to love Ghaul like a son, and believed they were kindred spirits who both envisioned a newer, more perfect world. Ghaul's association with The Consul and members of the Praetorate worried him, but not enough. "Is this not Calus's new Empire, an empire of achievement? Can't the Psions grow fat in thought, as you grow fat with power?" Calus claims to have overseen a reign of glory. His Empire was an immense military power, but valued willpower, learning, gentility, and subtlety. Debate was as celebrated as warfare. Savage pit fights coexisted with precise marksmanship and refined martial arts. The Empire crafted technological marvels that allowed every need to be met and every life to be lived in comfort. As the Cabal Empire expanded, it encountered countless alien races and absorbed them into itself: indoctrinating their species, collecting their technology, learning their knowledge, and merging with their culture. 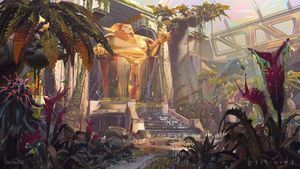 The number of species within the Cabal Empire "defied reckoning," and examples of the things they created, whether texts, tech, or superweapons, were archived in carefully maintained athenaeum worlds for study and potential future use. It was seemingly during Calus's reign that the Cabal learned of the Traveler and the Light, and gained some knowledge on the Darkness from the "Dreams of worms". His Empire has even defeated a Light-empowered race on at least one occasion. However, behind Calus's back, Ghaul was organizing a coup with the Consul and some of Calus's closest friends and advisors: Umun'arath, Shayotet, Otzot, Moli Imoli, Iska'al, and Caiatl. Ghaul launched his coup in the dead of night. 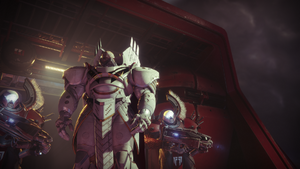 With the Emperor too popular to simply execute, Ghaul, his Red Legion, and the Consul arrested Calus and a number of supporters in his own court and exiled him aboard The Leviathan, taken far from the Empire along a pre-programmed course. Ghaul swiftly assumed power. Declaring that there would be no more emperors, he instead assumed the title of Dominus and imposed radical reforms on the Empire. Under his leadership, Cabal culture moved from hedonism and pleasure for all to militarism and personal glory. The Empire's member species were diminished in relevance. Its subtlety was replaced by brute, industrial force. It conquered rather than absorbed. "Whether we wanted it or not, we've stepped into a war with the Cabal on Mars. So let's get to taking out their command, one by one." The Cabal's scouting legions arrived in the Solar System at some point following the Collapse. Encountering no meaningful opposition, they established a beachhead on Phobos, constructing massive facilities such as Fleetbase Korus and Firebase Thuria before invading Mars. Their initial intention was to mine Mars for resources, but the scope greatly expanded upon discovery of the Vex ruins. A Ghost that had infiltrated a Cabal base on the planet took note of visible dissent among their ranks: while some remained loyal to the Empire and obeyed their ancient orders without question, others did not, and tensions between the two groups may presage a schism. It is possible that some Cabal were aware of Ghaul's coup against the Emperor, which may have been an additional source of tension, but the transmissions for this do not make it clear whether all of the Martian Cabal knew, or if they had taken any sides. One unit, the Broken Legion commanded by Valus Trau'ug, even mutinied, massacring his superiors and attacking the Reef without authorization, resulting in their capture by the Awoken. For Trau'ug's treason and failure, Cabal High Command disavowed the entire legion, leaving them in the Prison of Elders. "It came from the Emperor Himself. I’m ordered to board and capture the Hive flagship. At any cost." 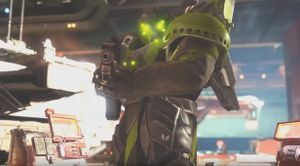 Prior to the start of the Taken War, the Vanguard speculated that a new task force, a "second fleet" led by the Skyburners, was being assembled at Phobos for the purpose of invading Earth. After the arrival of Oryx, the Taken King and his Dreadnaught, however, the Cabal were forced to evacuate their Fleetbase and other sites in the system due to Taken infestations. In the ensuing battles, various detachments across Phobos and Mars suffered enormous casualties against the Taken, with the Sand Eaters losing 58% of their troops, the Blind Legion losing 35%, and the Dust Giants losing 39%. In addition, the entire local Cabal fleet was mobilized, and any ship that was not already on the move by the time the Guardian arrived on Phobos was believed to have been destroyed. With the Skyburners being redeployed to reinforce the other battered Cabal during the course of the Taken War, the campaign against Earth was temporarily placed on hold. Following this considerable setback, Primus Ta'aun, commander of the Skyburners and the mightiest Cabal in Sol, sent a report up the Cabal chain of command suggesting that the Hive technology aboard the Dreadnaught could be co-opted for Cabal use. Ta'aun also proposed any technology recovered could be used against Guardians, as the Primus had begun to realize that the Cabal battle strategy was becoming hopelessly mired in a losing attrition war with the City. His report reached Dominus Ghaul, who then ordered Ta'aun to personally board and capture the Hive vessel by any means necessary. In the aftermath of the Battle of Saturn, Ta'aun rammed his warship, the Dantalion Exodus VI, into the Dreadnaught in order to establish a beachhead. While leading a squad through the Mausoleum in an attempt to reach Oryx's ascendant realm, Ta'aun was Taken and transformed into Ta'aun, Hand of Oryx. Ta'aun's bond-brothers Valus Mau'ual and Valus Tlu'urn then ventured deep into the Dreadnaught and planted explosives at its power core, either as part of a preconceived plan to force the Hive's surrender or to avenge their lost Primus or both. If allowed to succeed, the blast would have destroyed half of the Solar System. Fortunately, the two Shield Brothers were stopped by a Guardian fireteam before the explosives could be detonated. Their leaders vanquished, the surviving Cabal on Dantalion Exodus VI transmitted a distress signal to the rest of the Empire. Though the Guardian disabled this signal, they were unable to prevent it from reaching its intended recipient. The remaining Skyburners on the Dreadnaught continued to fight a desperate struggle to survive as their beachhead was slowly overrun by Hive and Taken. Meanwhile, on Mars, the Cabal clashed with the resurgent House of Wolves, who had gathered on the red planet to heed the call of their new God-Servitor Orbiks Prime. Weakened by the casualties suffered in previous conflicts, the Cabal were unable to evict the scavengers as they took the Cabal's subterranean labyrinths for their own. The Guardians solved the problem by destroying the Servitor, leaving the Wolves broken once more. Shortly after Oryx's defeat, a New Monarchy agent sent a report to his Executor superior which noted the depletion of Cabal leadership: the Skyburners' Primus and his bond-brothers, Primus Sha'aul, Valus Ta'aurc, Valus Trau'ug, and a large mass of lesser Vals and Bracuses all dead or heavily outnumbered. The New Monarchy believed that in the face of such staggering losses, the Cabal Empire would have no choice but to respond to the Guardians' attacks. "I command Legions. Conquered worlds. Waged war across the galaxy to prove my worth. I alone am worthy of the Traveler's Light." Two years after the Taken War and one year after the SIVA Crisis The Cabal Empire's response would finally arrive. The Red Legion under the command of Dominus Ghaul who would launch a devastating assault on the Last City which was carried out flawlessly. Taking the City by surprise, the Red Legion rapidly overwhelmed it and destroyed the Tower while his cage device latched onto the Traveler. Ghaul's forces took particular care to capture the Speaker alive, as the Dominus was interested in his connection to the Traveler. In a desperate plan to kill him, The Guardian boarded his flagship, The Immortal, and destroyed its shield generator in advance of a concentrated attack. This attack never materialized, and Ghaul personally stepped out to confront the Guardian. As the two faced off, the Cage activated its suppressive shield and stripped the Guardian -- all Guardians -- of their Light. With his victory assured, Ghaul beat and mocked the Guardian before kicking them off of the Immortal. Dominus Ghaul and his Red Legion had succeeded where previous forces had failed to accomplish for centuries, invading the Last City and defeating its Guardians. Days later, aboard the Immortal, Ghaul implored the Traveler to choose him and join his empire. The Consul, in contrast, only viewed it as an advanced machine, and advised Ghaul to simply seize its Light by force. Ghaul disagreed with the Consul's approach and had the Speaker brought to him, seeking to use him to gain the Traveler's approval. In addition to conquering the Last City, he sent his prized warship, The Almighty, to the systems sun to destabilize it and cause it to go supernova should the system resist any further. His remaining forces have been sent to the European Dead Zone to hunt the remaining Guardians, to Io to mine the remaining energy from the Traveler and to Nessus to study the Vex. Ghaul also sent a powerful force to Mars to reinforce the Cabal forces there, finally driving the Vex from Meridian Bay and destroying the portal to the Black Garden. For a time, the Red Legion maintained complete control of the Solar System but a few Guardians were able to regain control of their Light from interacting with a Shard of the Traveler in the European Dead Zone. In doing so, they began to fight back against the Red Legion, humiliating their forces. Gathering the Remnants of the Vanguard, the Guardians plan a resistance to reclaim the Last City and disable the Almighty. Despite the loss of their Light, the Vanguard Leadership launched the attack to reclaim the Last City while the Guardian boarded the Almighty, permanently disabled the superweapon, and headed back to Earth to join the fight. Hearing of both the attack and the loss of the Almighty, the Consul angrily demanded Ghaul to take the Light from the Traveler to destroy the Guardians. The Dominus. however, remained adamant that he needed to prove his worth to be chosen by the Traveler. However, in his rage, the Consul released the weakened Speaker and ranted that Ghaul had already been chosen, not by the Traveler but by the Consul, the day he found him as an orphan and raised him to be the warrior who would deliver their people and promise him vengeance. Convinced by this argument but angered by the Consul's arrogant insubordination, Ghaul killed his old adviser while swearing to take the Light by force. At the top of his warship near the Traveler's Cage, Ghaul faces off against the Guardian he defeated before but this time infused with some of the Traveler's Light, giving him similar abilities to the Guardians. However, the Light that was bestowed upon him was corrupted. After a fierce battle between the two Light-infused warriors, Ghaul was nonetheless defeated. 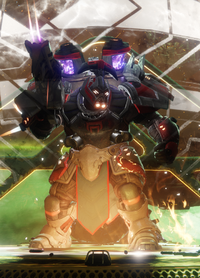 With his death, Ghaul attempts to use Radiance and is resurrected as a massive ethereal figure due to his corrupted Light, and he declares himself immortal as he speaks to the Traveler directly. In doing so, the Traveler wakes from its slumber, destroying the device that was harvesting its power and then destroys Ghaul himself, sending a massive shockwave across the planet and system, restoring the Light and ending Ghaul's threat forever. With their Light restored, the Guardians succeeded in reclaiming the City and drove the Red Legion away. For the first time in history, the Red Legion has known true defeat and their seemingly undefeated leader was now dead. Despite Ghaul's death and the liberation of the Last City, the Red Legion continue to carry on the Red War but have become seriously weakened and demoralized at the loss of their leader. Even so, the Guardians continued to battle with the Red Legion across the System. The Guardians succeeded in thwarting numerous and desperate plots the Cabal planned to give them an advantage, from using Taken energy to strengthen their forces, to destroying Protheon, Modular Mind before they could utilize the Axis Mind as a weapon, and acquiring deadly weapons from Bracus Zahn and his disgraced forces. The Legion is currently active on Mercury, following Ghaul's death. They are currently at a stalemate with the Vex on Mercury. Another remnant of the Red Legion traveled to Mars to resupply its forces but encountered the mysterious Hive army, the Grasp of Nokris. Now the Cabal enter into a stalemate with the Hive for control of Hellas Basin while also dealing with Guardian attacks. "If you seek the means to live to your potential, I can guide you to it. There is power in the universe beyond your feeble Light. I leave you with those words, and these parting gifts. Take them, and grow fat from strength." After the death of Ghaul, the former Emperor of the Cabal, Calus, arrived in the Solar System aboard his massive craft, the Leviathan, and immediately set to work on reclaiming the empire. He gave elements of the leaderless Red Legion the chance to "join the loyalist regime," sending them on missions to collect geological data on Nessus. These transmissions are intercepted in the Adventure Invitation from the Emperor. Calus intended to convert the soil of the planet into "Royal Wine". Calus extended an invitation to The Guardian to board his vessel for slaying Ghaul. The Guardians accepted Calus' challenge and following a long journey through Calus' palace and defeating his loyalist army, the Guardians seemingly meet Calus in person in his throne room. Facing off against the exiled Cabal Emperor, the Guardians survive his strange powers and after dealing critical damage to him, they found that the Calus they were facing was really a robotic duplicate. Regardless, the Guardians succeed in destroying the robot. Before the destruction of the machine, Calus boasted about his power and claims to know the "real truth" about the galaxy and the purpose of the Traveler. Nonetheless, he rewards the Guardians for completing his challenge and offers them a place by his side should they seek him out. Some months later, Emperor Calus called upon the Guardians again when his Leviathan broke off a chunk of Nessus that contained a powerful Axis Mind, Argos, Planetary Core, thus clogging up the massive vessel. Instructing them to repair his ship, the Guardians travel through the bowels of the Leviathan and succeed in repairing it and battle with Argos in the fiery maw of the ship. After a perilous struggle against the Axis Mind, the Guardians succeed in disabling its shield and destroy the mind. However, with Argos's shield gone, the Guardians were soon to be devoured by the inferno of the Leviathan. Fortunately, Calus saves the Guardians and rewards them for their success and the Cabal Emperor once again offers them more than just the power of the Light, as Calus demonstrated that he can keep them safe. He also cryptically warns them that the "end" is near and therefore must be ready, as he will find them again. "If Calus possessed an iota of dignity, he would have helped Ghaul against the Guardians instead of gallivanting around the system. This was his moment to redeem himself. Instead, he proved himself the traitor we knew him to be... I will take the Leviathan for the Red Legion." Some time later, following the end of the Red War, in the vacancy that was left behind by Ghaul's death, a former Val, Ca'uor, took advantage of the power vacuum and quickly asserted himself as the commander of the Red Legion. Under his direction, he hoped to resupply the Red Legion by pillaging Vex technology from Mercury and gather energy from Mars to regain their strength following the failure to capture the Traveler and defeat the Guardians. However, both efforts led to conflict with the Vex and the newly arisen Hive faction, the Grasp of Nokris respectively. After Xol, Will of the Thousands was killed, Val Ca'uor led a fleet against The Leviathan in order to kill Emperor Calus and seize the ship for the Red Legion's purposes. His forces occupied the Spire of Stars, inflicting many Loyalist casualties, even destroying one of Calus's robotic duplicates. However, a Guardian team was sent by Calus in response, and with the aid of his psychic powers, they raided the spire, killed many of his troops, commanders and decimated the Red Legion fleet. Ca'uor was finally intercepted at the Celestial Observatory and in the following battle, he was overpowered by the team. Calus is impressed that the Guardians have grown "fat from strength and power" and rewards them once again. Calus then tells the Guardians that he awaits the day they will stand by his side when the end comes. "The Dominus was a strong leader, but the Red Legion had more to offer than simply overwhelming force... They think us weak and insipid. I will show them the might of the Red Legion, and they shall not forget." Following their decimating defeat on the Leviathan and the loss of Ca'uor, any remaining survivors of the Red Legion found themselves within the Reef struggling to survive even as the region of space descended into chaos as the Fallen Scorn rampaged across the Awoken's domain. Yet at the same time, they found themselves in between the Guardians personal war with the Scorn, loosing causalities to both groups during the conflict. "Without victory, we cannot go home!" While the Cabal are a militaristic species with a penchant for conquest, as evident by the existence of the Psion client race, their exact motivation for coming to the Solar System is unclear. They have a fascination with the Vex and their technology, as evidenced by their heavy presence at numerous Vex sites across Mars, such as the gate to the Black Garden and the spire that unlocks it. 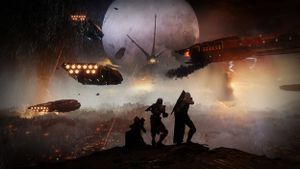 The Cabal also sent an expedition to Mercury to investigate a Vex structure known as Vertigo, but the members of the expedition disappeared under mysterious circumstances without a trace. It is unknown if the Cabal have attempted to visit any other worlds apart from Mercury, Mars, Io and Nessus. When a Cabal army goes to war it is exiled from the Empire, and is not permitted to return unless victory is secured. This presumably provides Cabal troops with the incentive and motivation needed to endure long-term campaigns, though they can still wear down eventually. Those on Mars showed signs of exhaustion as they were forced to fend off endless Vex assaults in addition to devastating Guardian strikes. Given the numerous casualties suffered at the hands of the Guardians, the Cabal have set their sights on the City, looking to find ways of neutralizing their self-resurrection abilities before committing to war. Psion Flayers have been indicated to have already analyzed certain areas where Guardians cannot self-resurrect, such as the vicinity near the Black Garden, and that the Hive on the Dreadnaught possess the means of extending these areas. They are capable of very extreme tactics in the name of the Empire; from leveling entire planets for being in the way, to nearly blowing up half of the system. Cayde-6 considers the Cabal to be war criminals for their brutality. Yet for all their ferocity, however, it has been noted that the Cabal seem to secretly be running away from something terrifyingly powerful - possibly the Darkness. 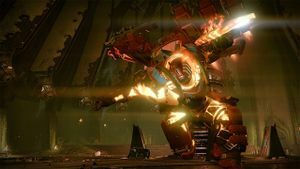 The Cabal, under the Red Legion, finally managed to find a way to disable Guardians' self-resurrection abilities through the Traveler Cage but it was later destroyed by the Traveler. The Cabal's primary reason for coming to Mars was apparently to mine its resources and investigate human technology. This changed with the discovery of the Vex Prohibition and later the Guardians. Even when the Red Legion arrived, the Cabal still displayed an interest in mining. "We have just as much to learn from our enemies as we do from our past." The Cabal are a bipedal, hulking species that appear to be carnivorous, as evidenced by their many sharp, irregular teeth. They have wrinkled, leathery tan-grey skin, a tall skull, dark wide-set eyes with slit pupils, and a very high, inverted-V-shaped upper lip that exposes the Cabal's upper gums and fangs. They come from a warm, humid climate, so they have to be constantly hydrated within their suits. Therefore, while a resilient species, Cabal cannot survive in Mars's blistering environment without climate-controlled gel suits. Cabal have long lifespans, in one case having lived well over a thousand years without any apparent infirmity. References in the Grimoire indicate that the Cabal have females serving in their rank and file. However, they are indistinguishable from the males in gameplay, making the Cabal seem androgynous in human eyes. Depictions of two known female Cabal, Caiatl and Umun'arath, suggest that they have tusks, while males do not. It is also mentioned by the Drifter that Cabal does not have any fat on them, that it is all, pure muscle. "Push, you dogs! Put your backs into it." "Whatever secrets, whatever power is hidden within this ice, belongs to the Red Legion." The Cabal language is Ulurant. It has been described as "grunting" and "moronic", lacking in subtlety. Nevertheless, the City has yet to fully translate it or its various dialects. The Cabal are confused by the term "Ghost", translating it as "Dead Person",  though this may be a simple error in semantics as the word "ghost" indeed exists in the Cabal vocabulary. They do not appear to have a word for "hubris"  or "retreat" ; conversely, they have six words for "advance". In the Warmind comic, it is written using a heavily distorted English alphabet, with each word flipped upside down and reversed. The Cabal are always looking for ways to increase their power, and have devoted a lot of time to finding and adapting the technology of other races. However, they frequently do not fully develop the technologies they use, leaving structural weaknesses to be exploited, as Ikora notes in Reversing the Polarity. Ghost also noted on Mars that their security systems are absurdly easy to exploit, claiming they were less complex than DOS. A poor imitation of a Vex device was also found in the Cabal base on Io. They also frequently tamper with forces they hardly understand, whether it's the Traveller's Light, the Taken's radiation, or the Darkness itself. "While reports have them centered on or around Mars, the true might of the Cabal is still wrapped in speculation." The Cabal in the Solar System are but one arm of a vast interstellar Empire, and in the words of Valus Tlu'urn are "a few scout legions bogged down in attrition war". The nature of the upper echelons of Cabal leadership, including the identity of the leader of the Cabal in the Solar System, is unknown, except for the fact that the Cabal as a whole are ruled by Dominus Ghaul, who has final authority over military decisions. 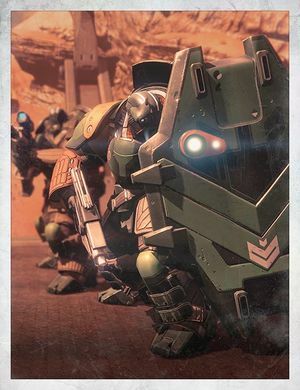 The Praetorate is an influential military aristocracy that controlled the Empire's Legions in the past, but holds somewhat less power under the reign of Ghaul. Dominus is the highest rank in the Cabal Empire, the equivalent of a military dictator. Ghaul claimed this title following his successful usurpation of Emperor Calus. Primus is a rank seen for the commanders of the Blind Legion, Skyburners, and Red Legion. According to Cayde-6 this rank is equivalent to an admiral. It is possible Primus is exclusive to specialized Legions. The Sand Eaters and Dust Giants, which are larger frontline regiments, have yet to show any commanders of that rank. One Primus is usually selected by the reigning Emperor to hold the post of Evocate-General, also known as Primus of All Legions, which commands the entire Cabal military. Valus is a rank reserved for elite Centurions and Colossi, possibly a commanding rank. It is subordinate to Primus. Val is a rank seen among Phalanx, Centurion, and Incendior bodyguards. It is a subordinate position to Valus. Bracus is a rank seen among Sand Eater Centurions. It is likely a lower rank and subordinate to Valus. Commander is a rarely seen rank among the Cabal hierarchy. What position it lies in the hierarchy is unknown, it's possible it's a subordinate to a Val. Titles such as Emperor and Consul are used by the Empire's political leaders. Calus held the title of Emperor before his exile. However, upon conquering the Empire, Dominus Ghaul refused to claim the title after he overthrew Calus, insisting that there would be no more Emperors, though his supporters sometimes refer to him as "the Emperor" anyway out of respect. Some Cohorts may have Auxiliary units attached, such as a noncombatant Strategic Intelligence Maniple. Broken Legion—a renegade legion imprisoned in the Prison of Elders. Emperor Calus—former emperor of the Cabal Empire and commander of the Loyalists, exiled to The Leviathan. Dominus Ghaul—ruler of the Cabal Empire and commander of the Red Legion. The Consul—advisor to Ghaul and mastermind of the coup to depose Emperor Calus, the previous Cabal Emperor. Freeborn Otzot—powerful Psion scientist who built the OXA Machine, and a co-conspirator. Princess Caiatl—disgraced daughter of Calus, and a co-conspirator. Evocate-General Umun'arath—the Primus of All Legions, and a co-conspirator. Lictor Shayotet—former bodyguard of Calus, and a co-conspirator. Aedile Moli Imoli—former Colossus turned morale officer, and a co-conspirator. Statesman Tha'uul—a minor Cabal diplomat who supported the coup against Calus. Primus Cal'aug—subordinate commander of the Red Legion. Primus Sha'aul—commander of the Blind Legion. Primus Ta'aun—commander of the Skyburners. Val Ca'uor—succeeding commander of the Red Legion after Dominus Ghaul. Valus Gho'ourn—subordinate commander of the Skyburners. Valus Ta'aurc—commander of the Siege Dancers. Valus Tau'ugh—champion of the Skyburners. Valus Trau'ug—commander of the Broken Legion. Primus A'arn—Primus of unknown legion; slain by Oryx. Psion—non-Cabal slaves that have powerful psionic abilities and clairvoyance. They are armed with Slug Rifles or Cabal Headhunters. They can move around quicker than other Cabal units. Legionary—frontline heavy infantry that form the backbone of the Cabal military. Equipped with jump jets, and armed with either a Slug Rifle, (common), Projection Rifle (rare), or Cabal Slug Shotgun. Phalanx—defensive troops that create impenetrable walls for support. Equipped with Slug Rifles, Cabal Slug Shotguns, and Cabal Shields. Incendior—pyrotechnic Cabal units who debut in Destiny 2. They are armed with Cabal Magma Launchers. Gladiator—large cleaver-wielding Cabal who debut in Destiny 2. They are armed with Cabal Severus. Centurion—field commanders and special operation troops of the Cabal. 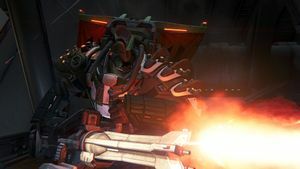 Equipped with a Solar Shield and jump jets, and armed with either a Projection Rifle (common), Slug Rifle (rare), or an Cabal Bronto Cannon (common). Colossus—elite heavy infantry units that lead the battle with their own ferocious size and strength. Armed with a Heavy Slug Thrower or a Cabal Slug Launcher, and have the ability to fire homing missiles from pods on the back of their armor. Can also unleash a three-hundred-sixty degree melee attack to inflict tremendous knockback and serious damage. The Cabal rely upon a thick, black, oil-like substance to fuel and supplement much of their technology. It is composed of many unidentified chemicals, and is potentially toxic to non-Cabal. They possess technology, or potentially individuals which enable them to shape and transform the features of planetoids, much like the Hive, but not on the level of the Traveler. This technology has been used by them to draw Mars's moon, Phobos, very close to the planet. They are capable of engineering on enormous scales, as demonstrated by the Traveler Cage, the Almighty, and the Leviathan, and routinely destroy planets for fuel or simply for "getting in the way." Through the Traveler Cage, they demonstrate the ability to manipulate Light via technological means, and can even forcibly bestow it on beings not originally blessed by the Traveler. "Say what you like about the Cabal. They know guns." Scorpius—mechanical turrets that are deployed by the Red Legion and Loyalists. These turrets unleash a barrage of ballistic fire upon their targets. The Cabal are sometimes informally referred to by Guardians as "War Rhinos" or "Space Turtles". The official Destiny guide mentioned an additional Cabal legion, the Bone Crushers, but this Legion never appeared in the game. A cabal is a group of people united in some close design together, usually to promote their private views or interests in a church, state, or other community, often by intrigue. Usually, when organizations are labeled "cabal" it is a negative connotation that implies dark or sinister intent. Many Cabal units are named after features of the Roman Empire’s military. Legionaries are the foot soldiers of both armies, Phalanx is a military formation, and Centurions were officers in the army. Until The Taken King, the Cabal were the only enemy species who did not share a world with the Fallen. The Taken King added the remnants of the Fallen House of Wolves to Mars. Concept art showed Cabal working together with Fallen, indicating a possible alliance between the two races similar to that of the Covenant from Bungie's acclaimed Halo franchise. However, this was later revealed to be concept art of the Taken. Strangely enough, the Cabal Colossi are not completely helmeted but have their lower face exposed. This could be a developer oversight. Not all Cabal have two syllables and commas in their names, as proven by the Red Legion. In the Cabal Booklet it appears that females of the Cabal race are capable of growing Tusks, similar to Elephants. The Cabal were called space rhinos by Cayde-6. Early concept art of the Cabal. Concept art of the Cabal. Cabal concept art alongside a model of one. A Cabal soldier not in armor. Concept art of a Cabal not wearing armor. Concept art of Cabal not wearing helmets. Concept art of the Cabal vehicles. Concept art of Cabal base. Concept art of Cabal deployable base. A pair of Scorpius, a turret that the Red Legion's Arms Dealer Bracus Zahn created. This pair is special as identified by the green marking, they belong to the Bracus himself. ↑ reddit - Observance comments on Have you read the Book of Sorrows? It's extremely revealing about the origin of the Hive, and maybe the Darkness. ↑ Bungie (2017/8/9), Destiny 2: Curse of Osiris: PlayStation 4, Activision Blizzard, D.F.A. ↑ Bungie (2017/9/14), Destiny 2: Console, Activision Blizzard - Cayde-6 dialogue: "You should see some of these reports I've been reading about Mars. And you thought the Red Legion didn't play games here."